Hours: M-F 7:30 am - 4:30 pm. This is a community health center. 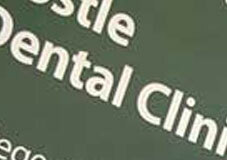 Dental clinic services are for adults. HSI is certified as a community health center under section 330 of the Congressional Public Health Service Act and as a Federally Qualified Health Center (FQHC). HSI is committed to working with the public and private sectors in order to ensure that comprehensive primary care services are readily accessible to area residents. Baptist Family Medicine residents and podiatry residents from the Veteran’s Hospital receive clinical training with HSI. Clinical rotations for nurse practitioner students from UAB and Troy State and RN students from Troy University, AUM, and Tuskegee University are provided. Medical, LPN, and dental assistant students from our area technical colleges also train with HSI. Finding dental costs for procedures is difficult. We created this section so users of our website can see what others have paid for dental treatment at Montgomery Primary Health Care Center. Do you know how much Montgomery Primary Health Care Center charges for services? Attention We cannot guarantee the dental costs to be completely accurate. They are displayed for informational purposes for our users. We have compiled prices provided by users and online research. In order to obtain actual costs please contact Montgomery Primary Health Care Center directly.